Companies have always strived to leave their customers with a positive experience, but recently there has been a shift in focus to also include employee well-being. Companies who focus on employee engagement are seeing two times more customer loyalty. This guide will delve into a variety ways to increase employee morale and lower stress. 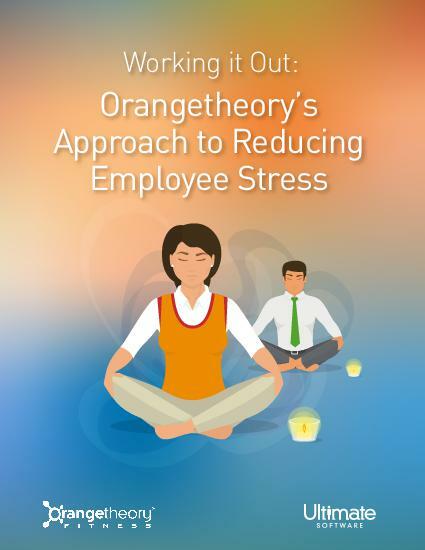 Join us as we sit down with Orangetheory’s senior vice president of human resources, Christine Carr as she discusses Orangetheory’s secrets to low employee stress. Christine has over 15 years’ worth of experience in HR operations, management, and administration. Learn to increase retention and customer satisfaction in a few easy steps.